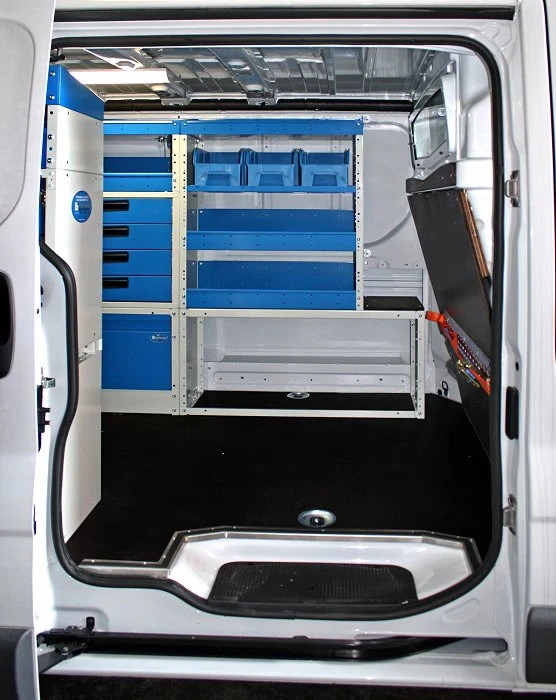 Trafic van from Renault is a medium-size LCV with a regular squared shape that allow the maximum space optimization of the cargo area, that has been really appreciated from the mobile professionals. 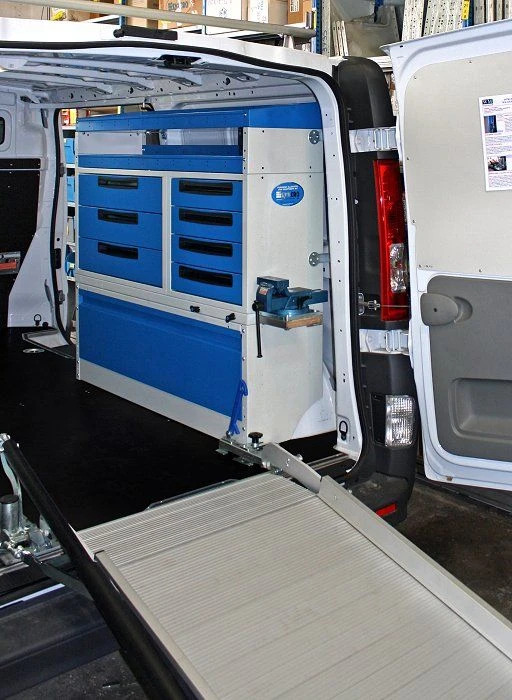 Syncro System Group has sold thousands of Trafic fit-outs, to electricians, plumbers, HAVC installers and maintenance service, public authorities and utility companies, private companies, national service fleets, both in Italy and Europe. 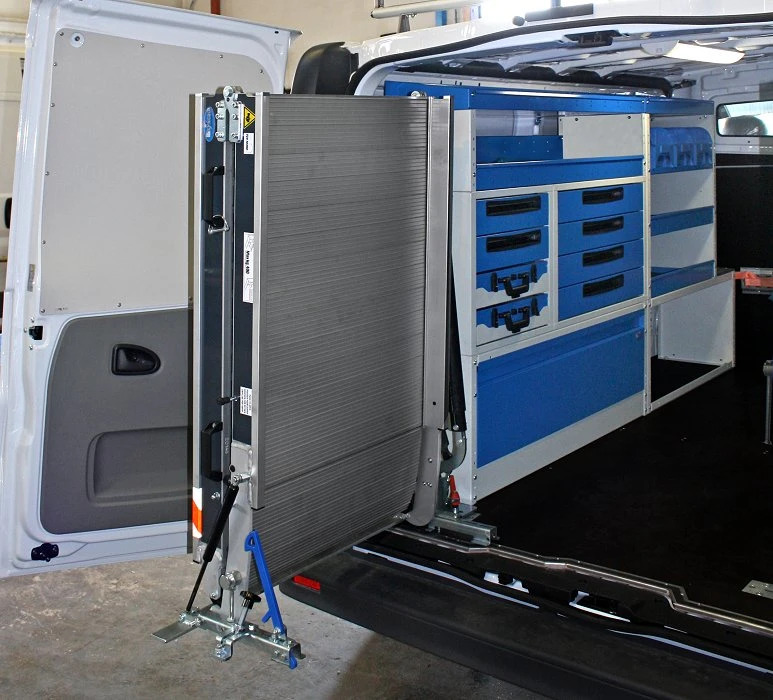 You may see on the pictures a racking layout for Trafic with drawers on both sides, various item accessories such as straps, neon lamps and an aluminium swivelling loading ramp. In order to protect the floor and bulkhead, we have installed a panel floor in laminated wood phenol coated and a partition wall lining in 12 mm laminated wood. 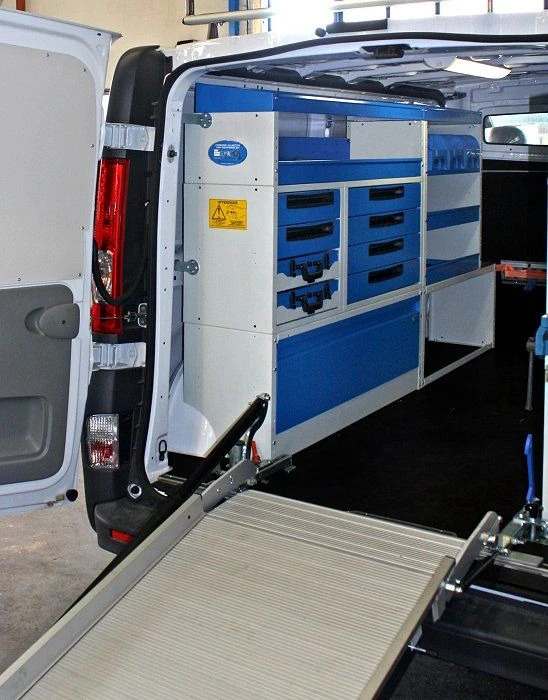 A best seller is the sliding workbench provided with 110 mm welded steel vice. 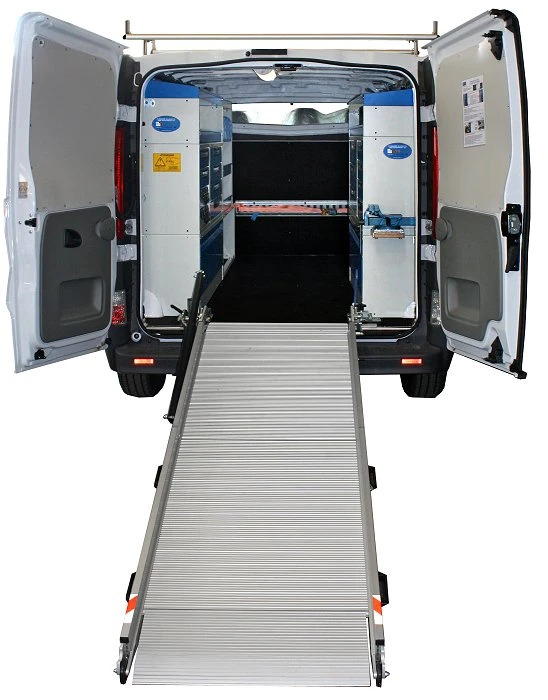 Trafic loading ramp can be easily mounted and dismounted from the van and it is provided with a rotating head that allow to push it against the wall inside the loading area. On the roof you may see the aluminium roof bars for Trafic, with fixation feet and side load stop in stainless steel. 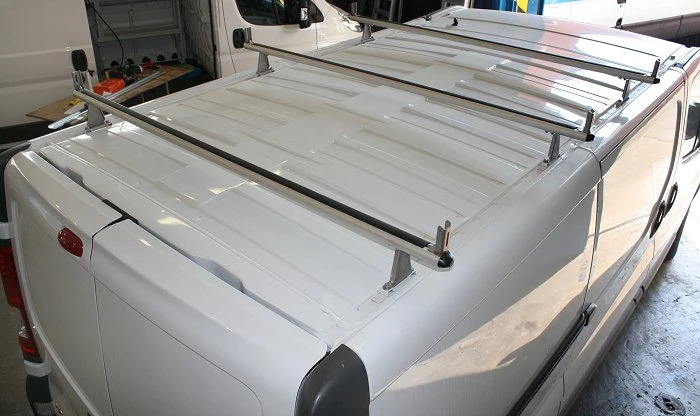 The design of aluminium roof bar has been studied to reduce to a minimum noise and vibrations when travelling.